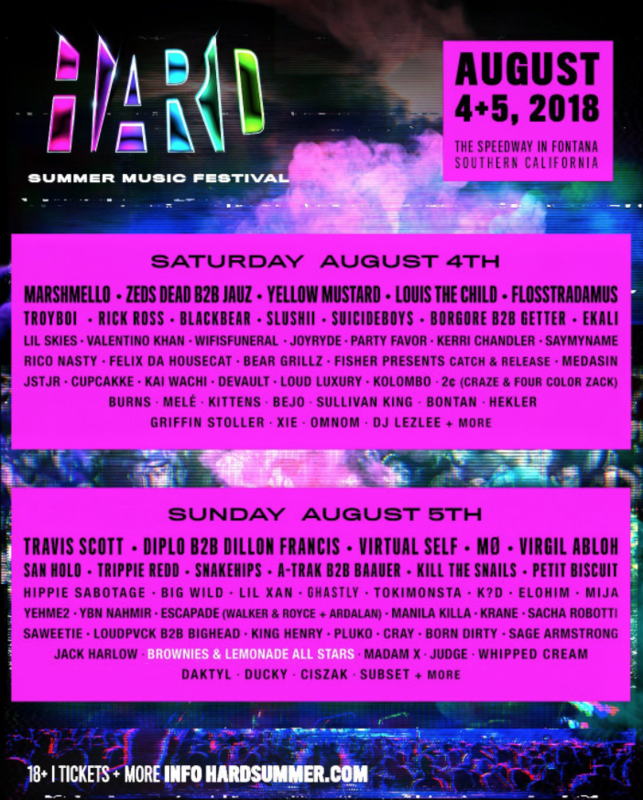 The good folks over at HARD events decided to start an anticipation of their own as they announced their 11th anniversary HARD Summer 2018 lineup, which takes place Saturday, August 4th and Sunday, August 5th, 2018. 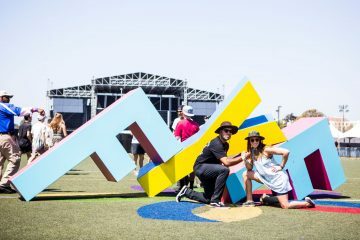 HARD Summer is loved nationally as one of Los Angeles’s best festivals. And coming this August, California will get to experience a cutting-edge lineup like no other as HARD Summer makes its second year return at the Auto Club Speedway of California in Fontana featuring way more water stations, Faster entrance/exits, no camping + Stages won’t be on the pavement as they’re being moved to the grass area, green stage is now inside the Speedway, and Insomniac’s Ground Control & Traffic Team are taking over. So everything is looking really good for a successful HARD. Tickets for HARD Summer 2018 go on sale THIS Friday at 9AM! 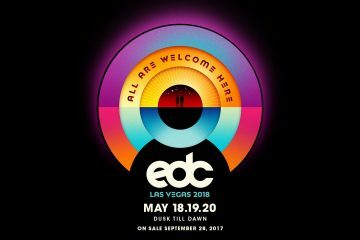 This year HARD will feature Travis Scott, Diplo B2B Dillion Francis, Marshmello, Zeds Dead B2B Jauz, Louis The Child, Virtual Self, Flosstradamus, Trippe Redd, A-trak B2B Baauer, Blackbear, Troyboi, San Holo, Borgore B2B Getter, Slushii, Tokimonsta, Snakehips, Mjia, Ghastly, FISHER and sooo many other incredible artists. This is probably the most diverse lineup we’ve seen from HARD!